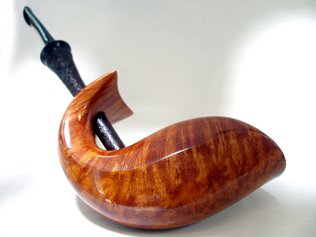 With a pun intended, this is a whale of a pipe. 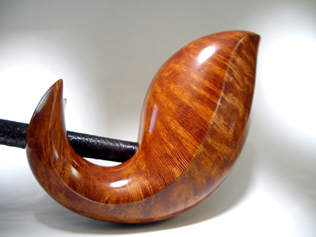 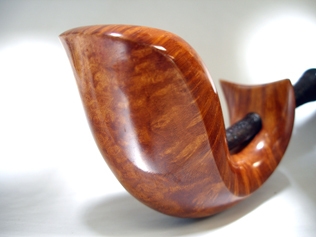 The italian briar is free of pits, and the cross grain follows the line from the bowl to the tail. 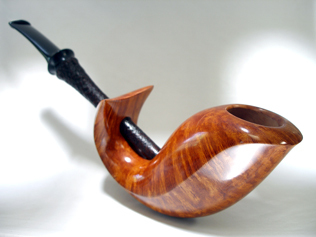 The "shank" is another piece of sandblasted briar that has been fitted with a stainless steel tube to prevent cake build-up on the inside, and also to add strength to prevent breakage. 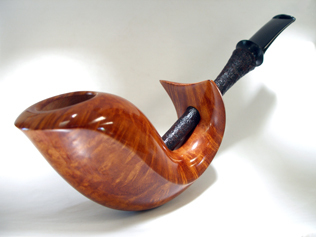 Overall, a very elegant and motion-filled piece that is out of the ordinary, for me, and yet very smokable and comfortable in the hand.